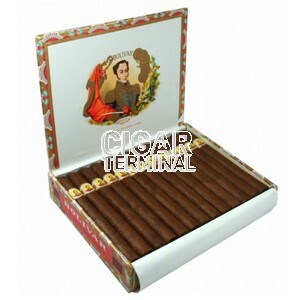 The Bolivar Coronas Gigantes is a big, bold and really beefy Churchill, 7" (178mm) long, of 47 ring gauge, and comes in a 25 cigars box. 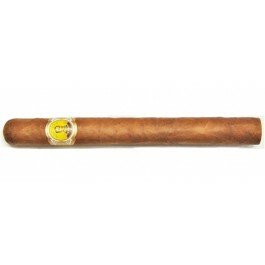 It is much sought after by cigar connoisseurs the world over. We can tell from its dark wrapper that this strong cigar will deliver full-bodied flavors in our palate. It creates a thick and heavy smoke that clouds over you and that you could almost chew. It develops a rich acrid taste of peat and double roasted coffee with a pinch of spice. Your nose fills up with its strong aroma that reminds of leather, tobacco and soil. All along the cigar, the strength arises and by the end, even the most demanding connoisseur is replete and well satisfied.